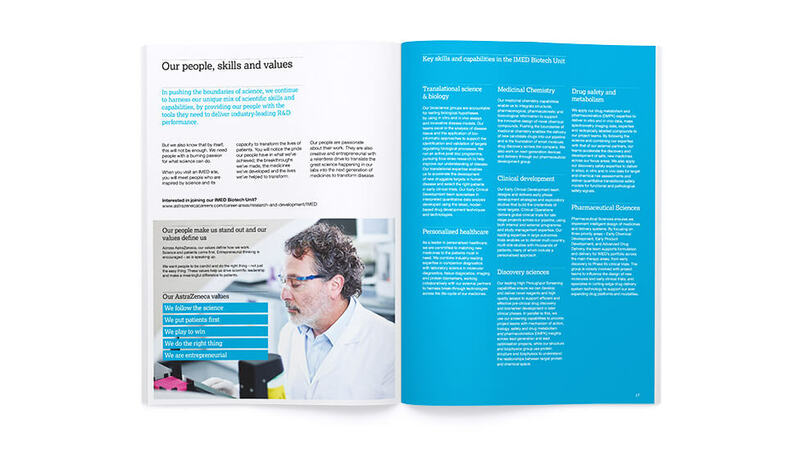 We helped AstraZeneca communicate the scientific leadership of their IMED Biotech Unit with a science brochure design to inspire internal teams and attract top external talent. 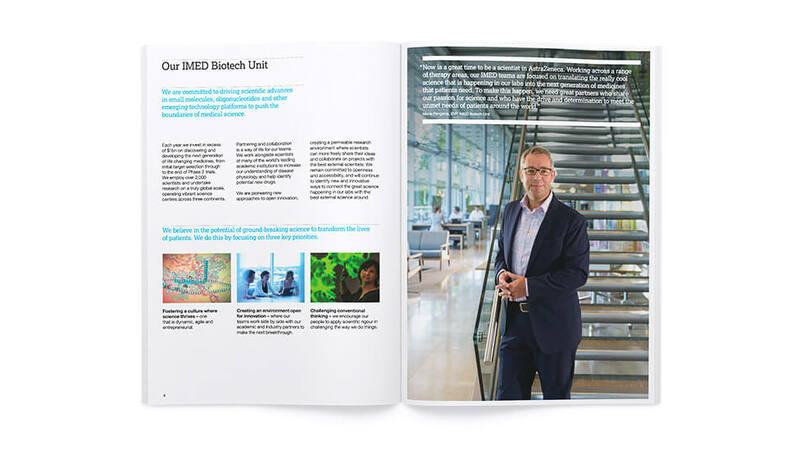 Working across a wide range of therapy areas, AstraZeneca’s IMED Biotech Unit is focused on translating the innovative ‘cool science’ that happens in labs into the next generation of medicines that will improve the lives of millions of patients. 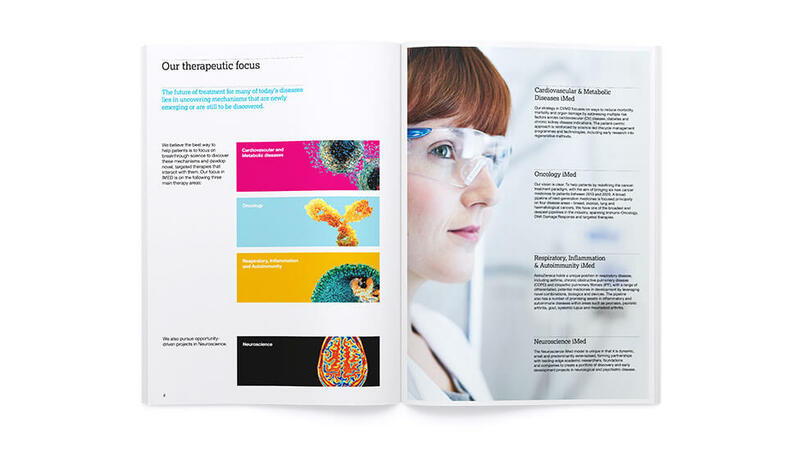 Our client asked us to produce a science brochure design to promote the Unit internally to other AstraZeneca teams. 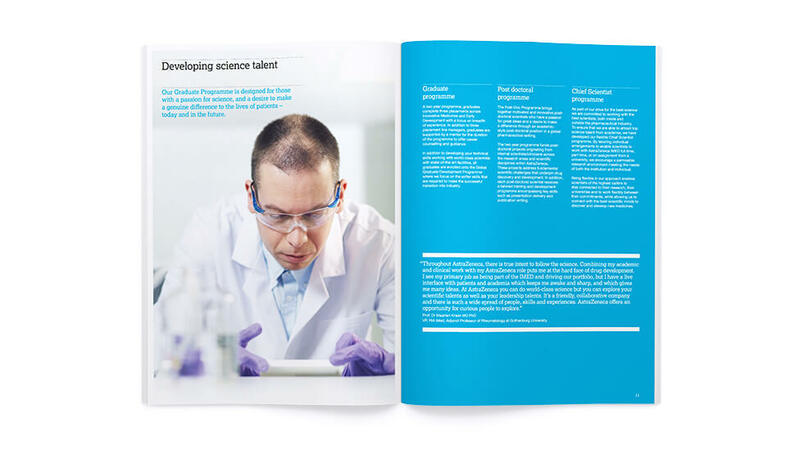 The brochure also had to help the client attract top talent at leading scientific conferences. 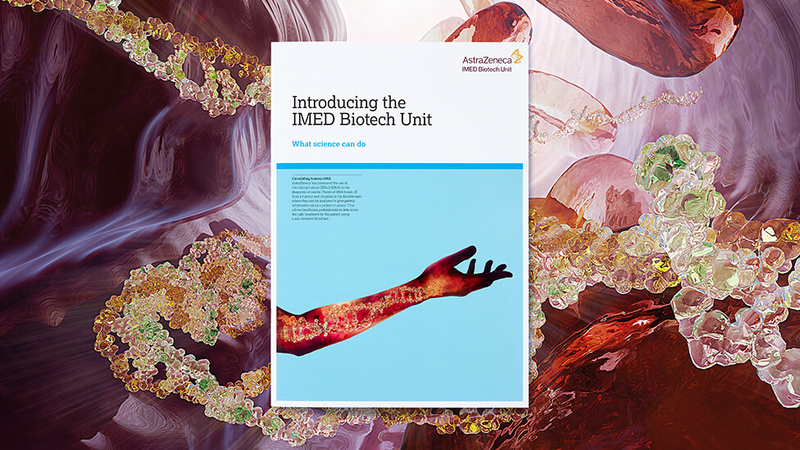 The brochure had to present the IMED Biotech Unit as an attractive combination of innovative ideas, focus on improving the lives of patients, and true collaboration amongst scientific research teams. 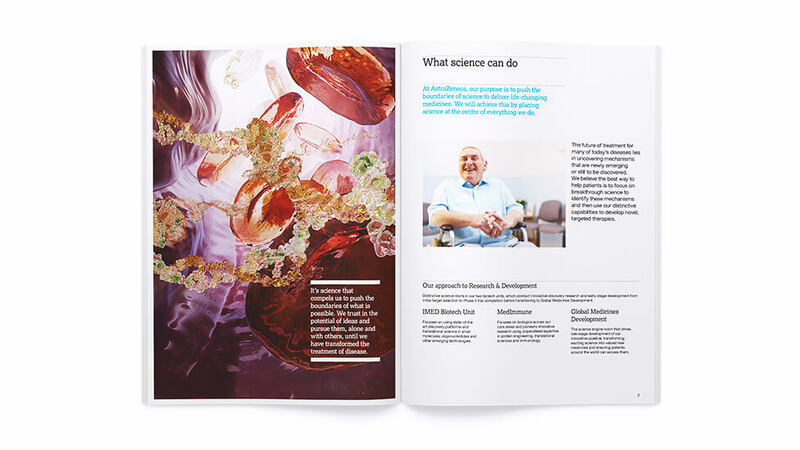 From the cover, the science brochure design reflects AstraZeneca’s passion for science, innovation and teamwork. 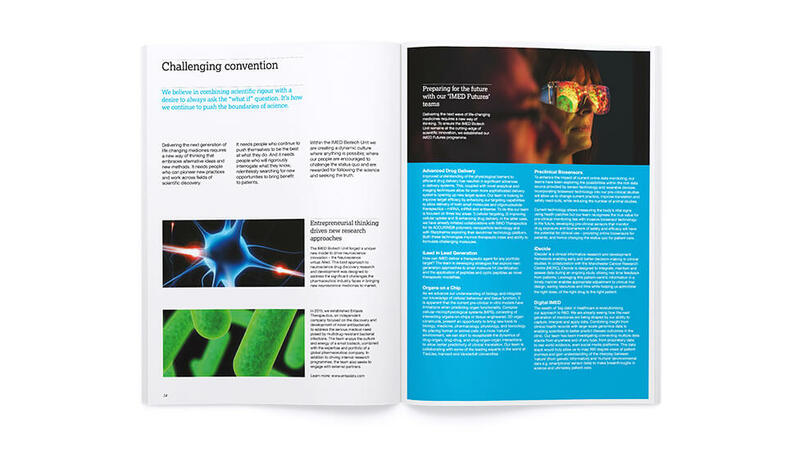 To maximise engagement, we designed the brochure with a magazine feel, where – in line with our client’s vision – the design gives prominence to scientific research, and the patients whose lives it helps improve. 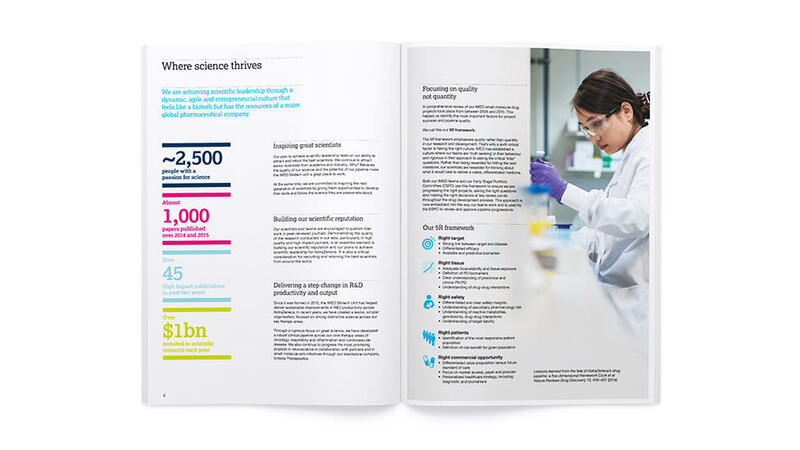 The brochure presents a welcoming environment where leading scientists thrive in developing world-changing medicines, thanks to an effective mixture of striking scientific images, photographs of scientists at work in the lab or collaborating closely with colleagues, and a clean yet engaging layout that lets large amounts of information breathe. 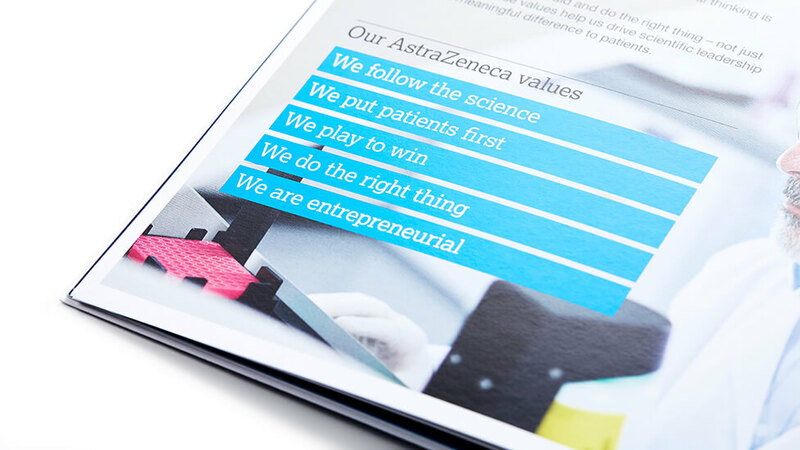 We followed AstraZeneca’s guidelines on the use of typography and colourways, and used IMED’s striking blue throughout to further strengthen the brochure’s appeal. 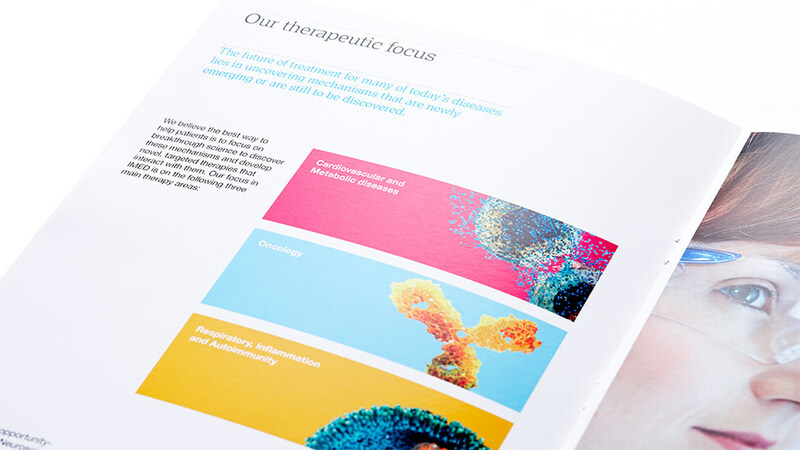 Infographic style illustrations and icons help structure content. 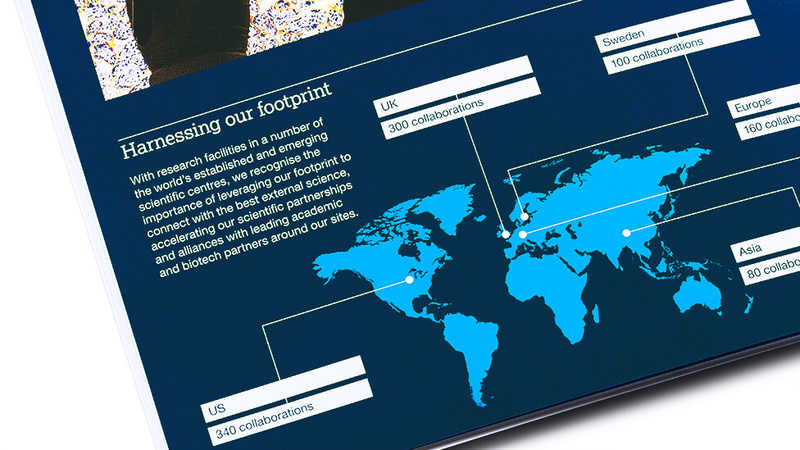 The Unit’s achievements are highlighted with large fonts and a bright colour palette to give each stat prominence. 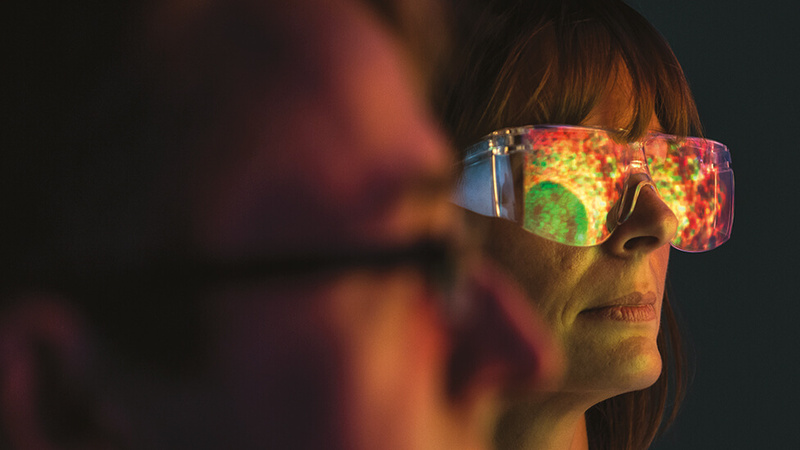 Testimonials bring the efforts of the Unit to life.